favourite track, ‘Paulette’. What superb vocals, and that hornsection.. 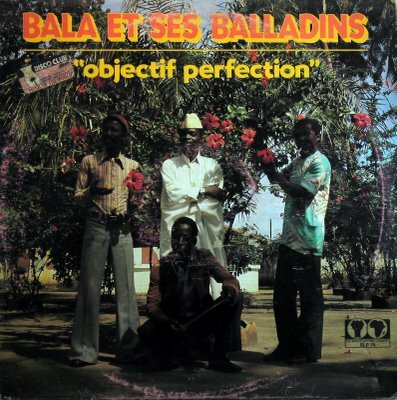 This entry was posted in Afro-Cuban, Guinée, Mandingo by Moos. Bookmark the permalink. We can’t thank you enough for those treasures from Guinée, Ghana, Mali and Nigeria. You are prolific and it is great. Blogs are quite poor during those months (I think). Dear Moos thanks for your dedication and effort, but this time I would like advise the lovers of this album to look for the version reissued on CD by Gunter Gretz – pam ADC 302, which also brings six extra songs and was recorded from the same original tapes that were used to edit this vinyl. Wow, I’ve been looking for this for YEARS. What a joy to find your site. Merci! How very excellent, thanks so much for all your efforts bringing us these obscure pearls. Could you reup please? Thanks. I’d love to hear this. Is a reup possible?